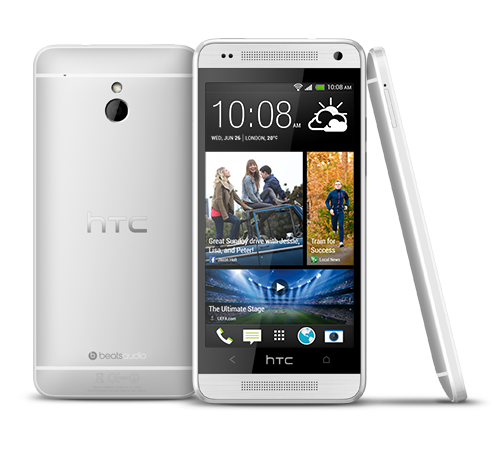 This year, HTC has sealed its secured place in the Adroid market by releasing the HTC One. Though the company struggles internally, the Taiwanese manufacturer still manages to spawn amazing products. In the light of HTC One's success and with the trend of releasing "mini" versions of the popular devices nowadays, HTC has come up with the One mini. So what do this puppy has in store for you? It still has the premium one-piece aluminum design with a slightly cut-off screen size to 4.3-inch. Display is at 720p with 1280 x 720 resolution obtaining the same brilliance in sharpness. Powering the device is the 1.4 GHz dual-core Snapdragon 400 SoC with 1GB of RAM. A higher version of Jelly Bean (Android 4.2.2) will reinforce this impressive hardware right off the bat. The One mini is only available at 16GB configuration which, like its older brother, doesn't have an expandability option. So active downloaders might be apprehensive with this device but if you're just a cloud-reliant user, then it certainly is not an issue at all. For those looking for "mini" device that looks and works similar as the flagship device, the One mini will definitely be a steal. Price has not been disclosed yet, but HTC One mini will be available in August in selected regions and will be rolled out on september.